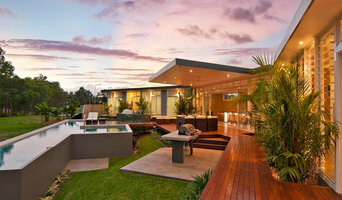 Maxa Constructions are a leading leading home builder and renovation company based in Cairns, North Queensland. Over the past 17 years we've worked on renovations of all sizes, custom designed homes and our own range of homes. No matter how small or large your project is, we can help! Whether you are looking to build a new home, renovate, extend, refit or construct a commercial building, We have the experience and expertise to make your building project a success. 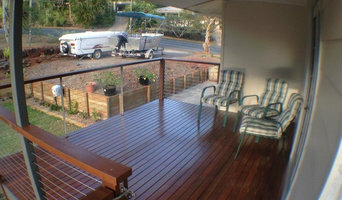 Smith & Sons Cairns South are your local renovation and extension specialists for Cairns and the surrounding areas! The team at Smith & Sons Cairns South have extensive experience in all types of renovations and extensions- from the old Queenslander to the modern family home. Whether you’re looking to add a storey, create a deck, upgrade your kitchen, renovate your bathroom or extend your living space- the team at Smith & Sons Cairns South can help! Smith & Sons Cairns South help clients create a home that suits their lifestyle and future requirements- no project is too big for the Cairns team! WIP Residential is a privately-owned building and Construction Company established in 2005. Throughout our history, we have evolved into one of Queensland's’ most respected and high-performance builders. At WIP Residential we offer our extensive experience as both commercial and residential builders to provide you with an inclusive project management and building service that can be used to satisfy all of your home and lifestyle desires. Whether that bathroom needs a facelift or the home needs a full renovation, our team can help you create the house you just don’t want to leave. With a local team of fully qualified managers and tradesmen, we can deliver your project to suit your lifestyle. We understand what living in the north means, so let us turn your concept into construction. We’re metalworks craftspeople who love transforming spaces. We make elegant, functional, and timeless architectural applications. Our weatherproof architectural metalworks are durable both indoors and out, sculpting light and anchoring areas to transform your living space. From screens, panels, gates and letterboxes, to signage, wall art and garden sculpture, we bring your ideas to life. Our products are proudly designed and built in our Cairns workshop. We are different, and our clients are different! We have the vision to design and build the ideal home to meet your needs and maximize the potential of any block. Backed by over 20 years of experience in residential construction and our fingers on the pulse of global styling, we will create the perfect ‘feel’ throughout your home. We offer a build that truly represents a client’s unique aesthetic and embraces their lifestyle, so if you want the same new builds that you see in every suburb, then we’re probably not the company for you. We only undertake a limited number of select projects annually, allowing us the time and personal focus necessary to clearly understand our client’s needs, ensuring that the build is stress free, with no nasty surprises. MODERN RUSTIC create buildings that celebrate the fabric of home, the lifestyle within and the land that surrounds it. We revel in shape, colour and rich textures; in mixed natural materials such as wood and stone; Using contemporary design combined with raw natural elements to create homes with warmth and soul. Quite simply, we are passionate about building and creating different homes for different people. Using mixed natural and re purposed materials, and creating the 'wow' of a new build, with the warmth and soul of a 'lived in' home. 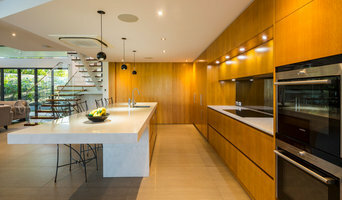 Whether planning a remodel or a new build, we can work from plans provided, or you can engage us in the design process from the beginning.Modern Rustic can also take the worry out of making selections and guide you to finishes that reflect your style or you can engage us to do all the hard work for you. 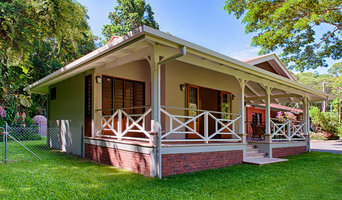 Kalios Constructions is specialised in custom carpentry/building. A mix between traditional and modern design with a height concern for sustainability. Smith & Sons Cairns North are your local builders who specialise in renovations & extensions in Cairns and the northern beaches. David McCoy Homes has been building homes in Cairns for over 25 years and has become one of the most trusted and long-established building companies in Cairns. At David McCoy Homes, you are not limited to only your project home owner builder plans. At no extra charge, you can design and build your own special home. At David McCoy Homes, we don't want you to talk to sales people, instead come and have a discussion about your home with one of our design consultants. Our team of experts have been fully trained to design a home just for you, it's their passion. Visit our display office or one of our display homes and feel the difference in every David McCoy home. Reach out to multiple professionals — especially for larger projects — and don't settle for the first bid you hear. Comparing multiple Cairns, Queensland professionals' bids and experiences can help you find the one that’s best for you. Ask a lot of questions now, so you won't have unexpected answers later. Find a home design professional: Narrow down your search by type of professional and location. 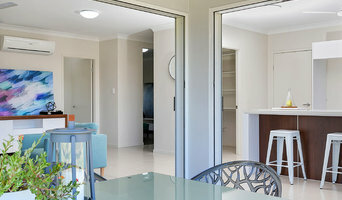 Browse Cairns, Queensland portfolio photos, read client reviews and contact each Cairns, Queensland professional for more information. Check out the information in the specialised professional sections too for tips on how to hire the right professional in Cairns for your project.